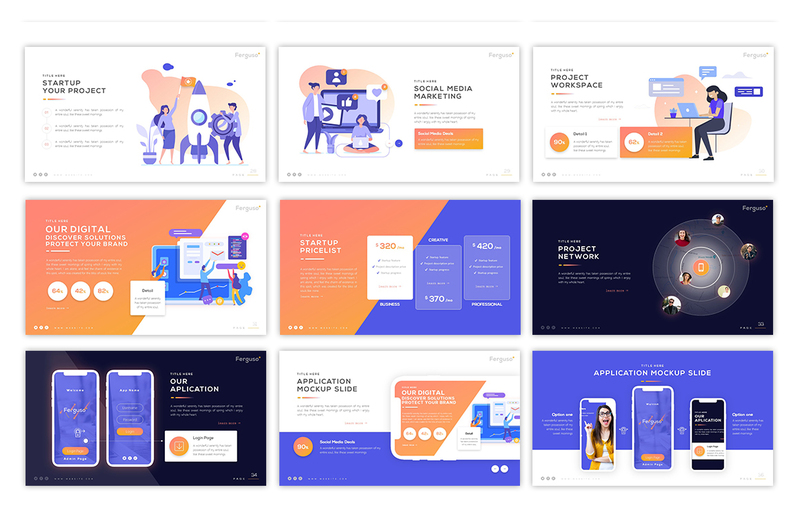 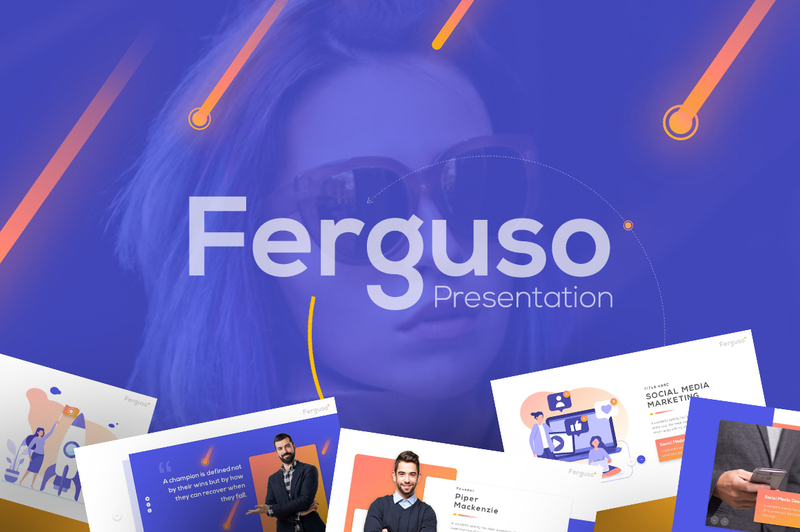 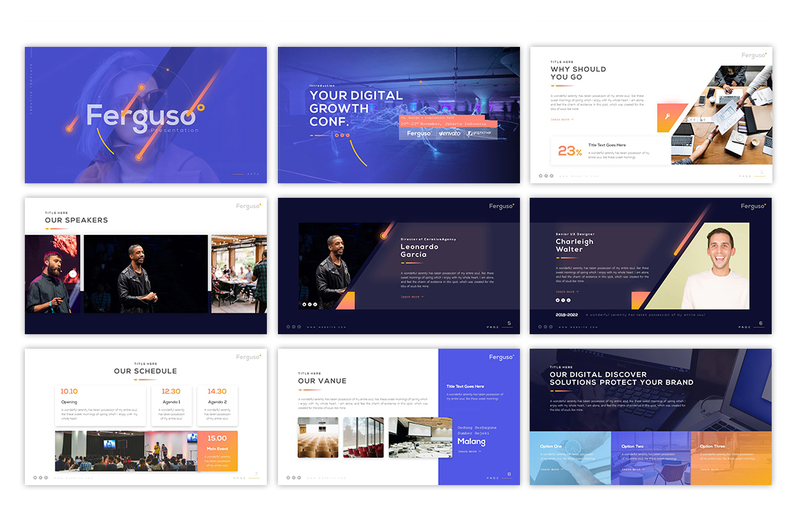 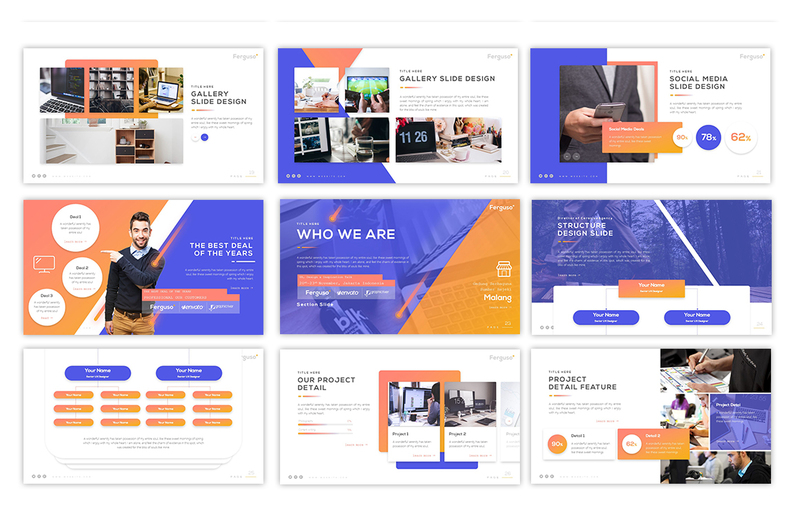 Ferguso - Creative PowerPoint Template is a very interesting template and very easy to use. 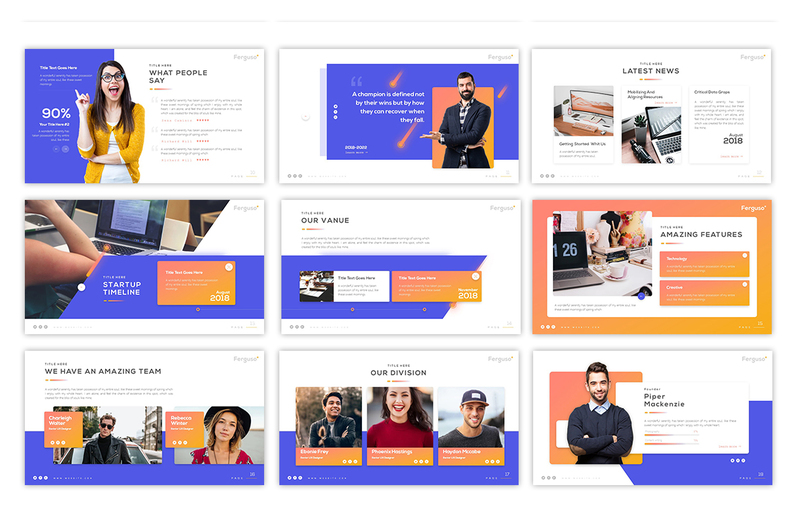 It is suitable for all kinds of business purposes, graduation, student, college, meeting, startup, food, event, elegant or party purpose. 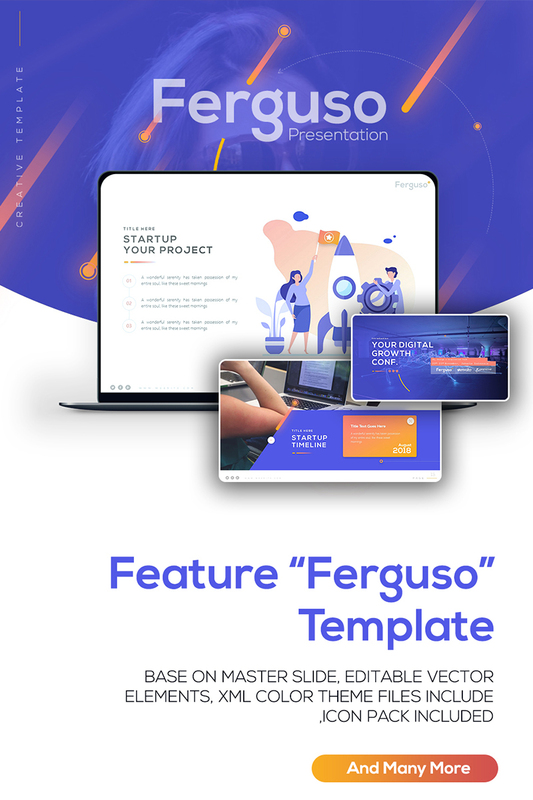 Based on master slide and editable vector elements is one of the features of this template, which will make your presentation more professional and can amaze your potential business investors.